We stepped away from traditional agency life to focus on what’s most important—you. Now, we work with One Client at a Time℠ to rebrand, reshape, and reenergize businesses. Arielle and Shelley from Current 120 are an absolute dream to work with! 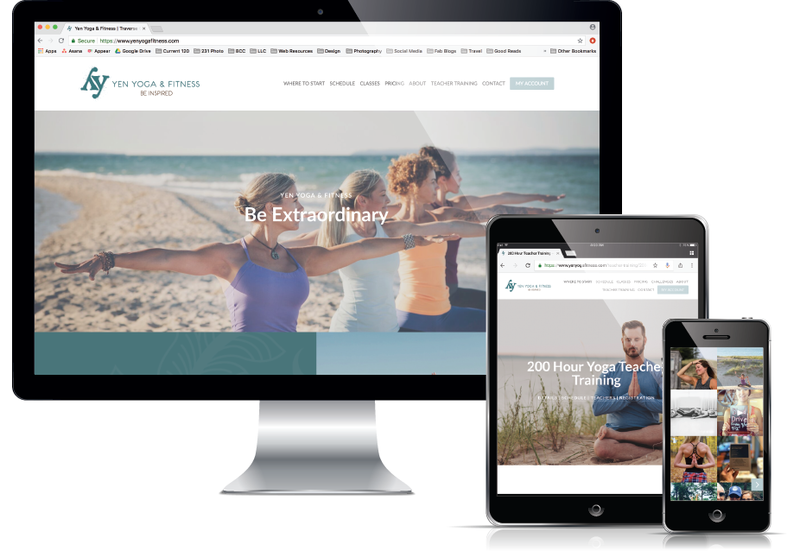 They quickly turned our ideas into a beautiful website that is easy to navigate and reflects the atmosphere of our business. Once the website was live, Arielle and Shelley provided continued support and training so that I can easily update the site myself as needed. I couldn’t be happier with their work and look forward to recommending them to others. Thanks, Current 120! I’ve had the honor and pleasure to work with Arielle and Shelley of Current 120 on several website projects. They truly are fantastic to work with, extremely responsive, responsible, creative, talented, and I would say the best web design team I have worked with in over 15 years. I have confidently referred them to colleagues and owners of businesses and never have any hesitation in recommending them. I honestly look forward to the next opportunity to work with them as it is an excellent partnership. Arielle and Shelley of Current 120 were a joy to work with! They successfully assisted us in rebranding our company of which the web site was only a piece of the puzzle. We had an idea and they turned it into a reality! The response in our marketplace has exceeded expectations! If imitation is the sincerest form of flattery they hit it out of the park! They are a high energy team, extremely responsive, very creative, always positive, will think outside of the box, are great listeners, and open to all suggestions! We highly recommend Current 120! We couldn't be happier with the three new websites that Current 120 helped us launch in July! Not only did they transition our websites to a more user-friendly platform, they taught us how to integrate them with Instagram, Facebook and Etsy—and—they left us confident we could maintain these sites with ease. In addition, our new website metrics have increased strongly since the launch of these new sites! Your brand is a visual representation of who you are and what you stand for. It's a process of discovery. A way of understanding and connecting with your audience. Building a brand is more than creating a pretty logo. It's countless hours of research and framing your brand architecture to match your lofty goals. It's sketches on paper and the conscious decision of color. And when it's complete, it's uniquely you. Conquer the digital world by establishing a cohesive, branded presence across all major platforms (like your website and the social media channels relevant to your industry). Establishing digital dominance is a significant way to be found—and seen—by your prospective clients. Not sure how to navigate the digital world? We're here to create a strategy that will make a lasting impact on the success of your business. We're two sassy creatives with a passion for developing brands. We truly believe we fatefully met our professional soulmates six years ago as interns when we bonded over our love for cinnamon rolls and concerts. We’ve been working alongside one another since—though, we’ve graduated from sharing a tiny desk in Traverse City to Skyping from different continents for hours on end. Pick your project start date and get in touch!